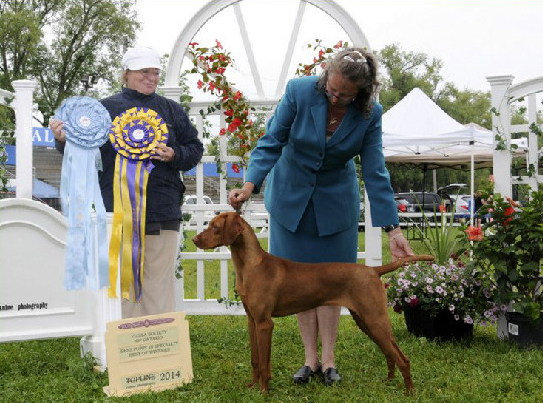 See the product of our years of experience as wire-haired vizsla breeder and smooth-haired vizsla breeder. Our dogs are loved all over the world! 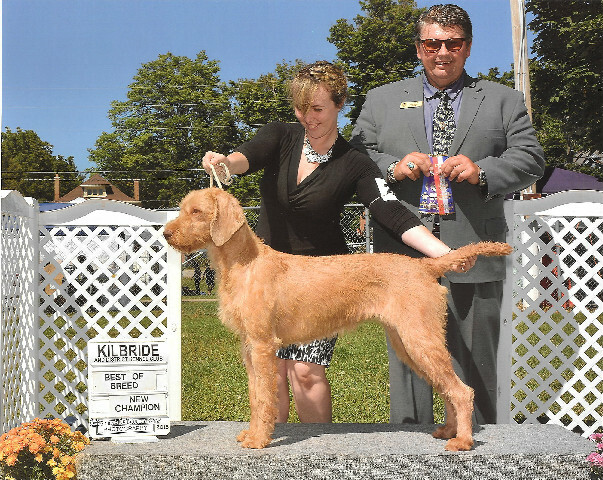 Tipsy at the Kilbride show August 10, 2015. 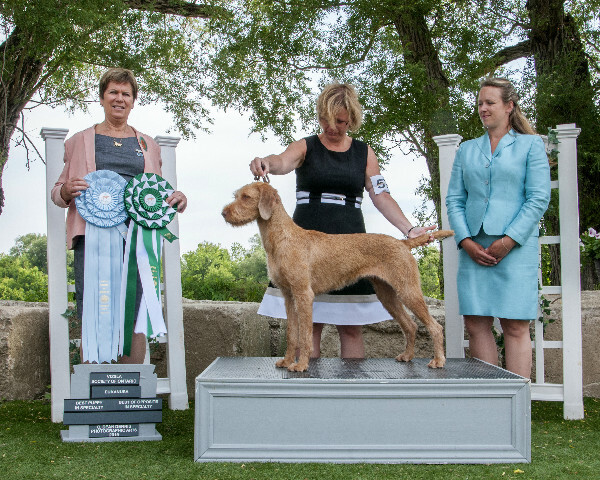 Thanks to CJ for the great job handling her and Judge, Mr. Jeremy Browne. 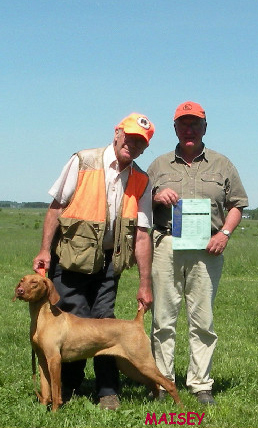 Maisey tied for Field Dog Junior, September 13th with the highest qualifying score of 97 points. Ray Rowan had her 2 weeks and very gently brought out her natural instinct. After a few days she became alive for birds. 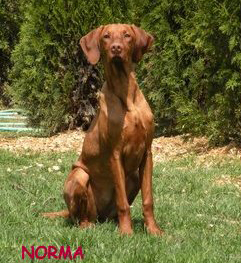 Pointblank’s Norma is a perfect picture of the vizsla temperament. 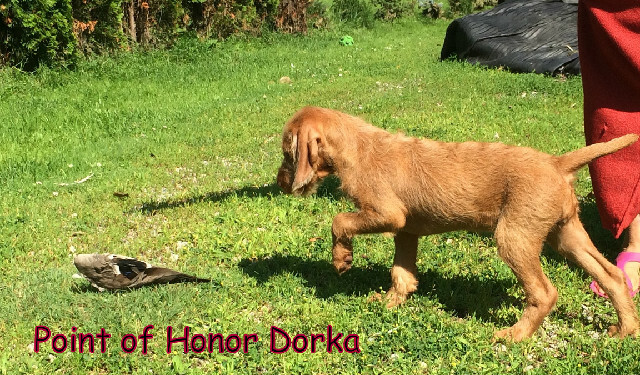 She has taken care of my kittens, nursed another dog’s litter of puppies; she’ll hunt all day. 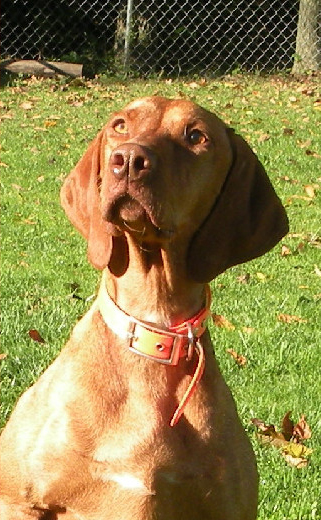 She is an amazing vizsla . Navhda II. 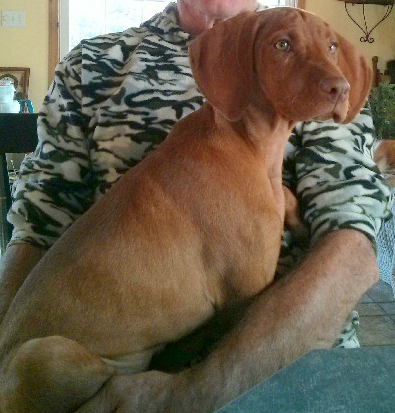 with 107 points at just 5 months and 4 days old. He finished the FD, on May 19th and 2 legs of the FDX . up with a score of 98/100. 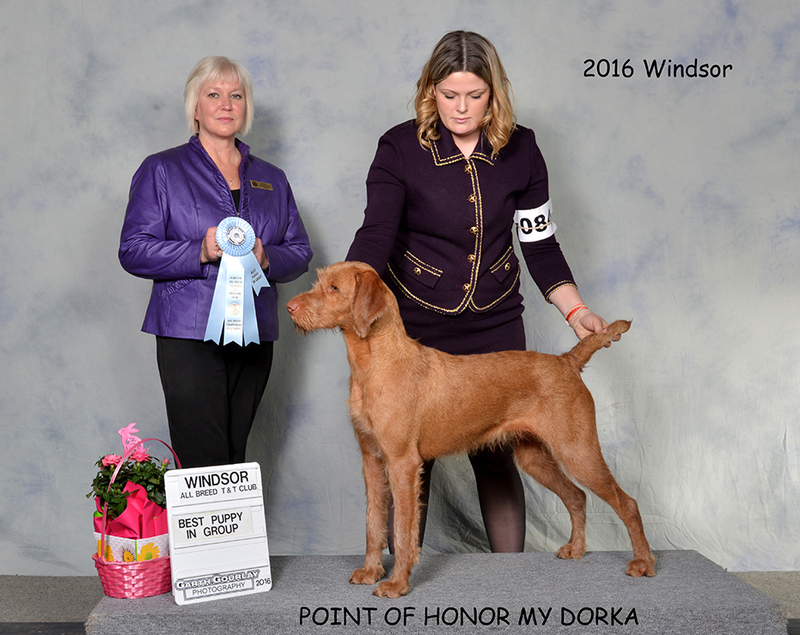 He was trained by Mike Wilshire, Ruffwood Kennels. The judge said he is an excellent dog! 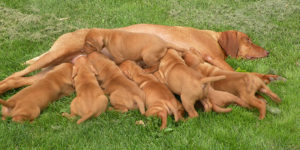 Adult vizslas available for re-home.